(Bloomberg) -- Melvin has been so worried about Britain’s chaotic quest to leave the European Union that he consulted a rather unusual source: The Mormon survival guide. Members of the Church of Latter Day Saints are encouraged to prepare for adversity in the form of a hurricane, ice storm, earthquake, riot or act of terrorism. 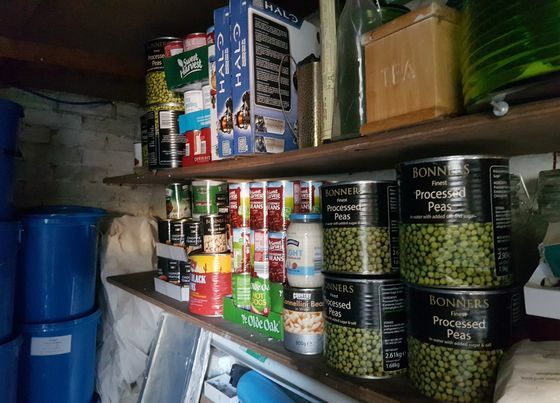 Instead, the 45-year-old computer software engineer from near Cambridge, England, is planning for food shortages in the event of Brexit happening without a deal to keep borders open. Melvin isn’t a Mormon himself, though knew they were experts in disaster planning after a browse on the Internet. “The Mormon book gave some guidance as to what food you would need and how much on a daily basis and from there I was able to make a spreadsheet,” he said, declining to be identified by his full name because of concern about being targeted by looters. A petition calling for a fresh public vote has exceeded 5 million signatures and an anti-Brexit march packed London’s streets at the weekend. And while Britain feels more like a country that’s angry and frustrated than fearful of life being upended, there are more and more stories of people confronting the possibility of a sudden end to decades of free trade and a new era of isolation. Prime Minister Theresa May won some breathing space from the EU last week, shifting Brexit day now to April or May from March 29, almost three years since Britain voted to leave the EU. But it still looks unlikely that she can get her deal through Parliament and, as she told the House of Commons on Monday, there’s currently no alternative plan on the table that would avoid disruption and keep trade flowing. Concerns over food and medicine supplies have centered on blockages at ports amid fears that added documentation will lead to backlogs as truck drivers wait to clear customs. As the U.K. relies on just-in-time deliveries, fresh food and vegetables imported from the continent may be in short supply. The government has urged supermarkets and drugmakers to stockpile. Melvin, though, is taking no chances. He has an outhouse packed with six months of supplies for his wife and eight-year-old son. He’s prioritised tinned food and batteries over toilet roll, explaining he’s bought a shower-head toilet attachment instead. 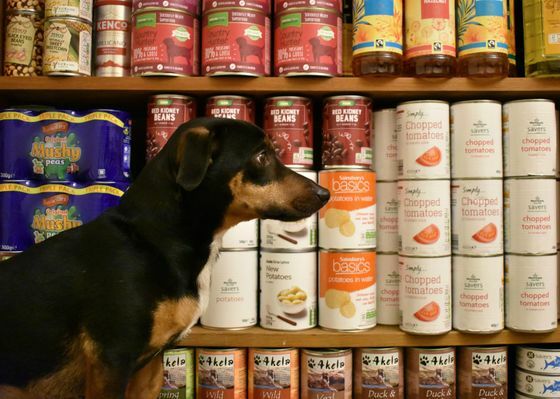 In Cardiff, Wales, Helena is mostly worried about her Jack Russell, Charlie, having enough to eat in a no-deal scenario. Research shows 76 percent of Brexit voters think concerns over shortages of food and medicine are exaggerated. Helena, who also declined to give her surname, voted to stay in the EU in 2016. Her mother, who voted to leave, certainly isn’t stockpiling. Helena meanwhile has pasta, lentils and cans of vegetables piled up all round her apartment, on top of the freezer, on the bookshelves and under the bed. Would she let her mother go hungry?